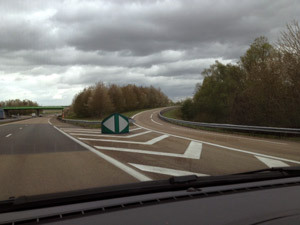 If you drive through France on the toll motorways ("peages") you will have seen woodlands through the car window and may have wondered how the French organise their forestry. Not only do they do things differently but they do forestry on a much larger scale than the UK. France itself is more than 2.5 times as big as Britain in area and its woodland cover is much greater. 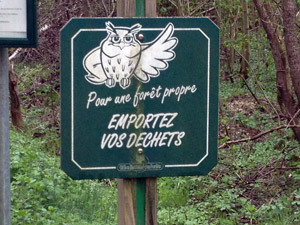 The French have 28% tree cover whereas the UK is only about 12% wooded. The effect of a larger country with denser tree cover is that the french forestry sector is over six times as large as UK forestry. You can get a feel for this larger size when you consider that one French forest alone (Foret des Landes in Aquitane near Bordeaux) is as big as 50% of all UK forestry combined. It covers 12,600 square kilometres (about 112 kilometres by 112 km) and contains vast areas of maritime pine and scots pine and is a favoured location for free-range chickens. Taking a wider view, French forestry is much more deciduous than British forestry - it is dominated by 13 tree species which account for 80% of the wooded area - and of this over a third is oak. The species which will seem unusual to a British observer are Maritime pine, evergreen oak (holm oak) and pubescent oak. Over 60% of french forestry is broadleaf whereas in the UK that figure is only 29%, following the UK's post war coniferisation. But for the British traveller it can be easy to overlook just how forested France is because we tend to start in the Northwest where there is least tree cover with less than 15% woodland: this contrasts with the other end of France (South East where the cover is over 45%). 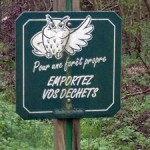 It is also easy to underestimate the tree cover because French forests they are often in huge blocks - the photos in this blog are from the Forest of the "Montagne de Reims" immediately to the south of Reims next to the Champagne area. This woodland is 53,000 hectares and quite mixed both in species and ownership. The forester I met was working for a business which has a concession to manage part of the woodland from the local community and he was cutting firewood which he is stacking in the wood to allow it to to season and he will sell it locally this autumn. He explained to me that there is a lot of local demand for firewood and that he is cutting the underwood and leaving the oak standards. Despite an impression of a strong French nationalised interest and powerful central planning, French forestry is less likely than UK forestry to be government owned. In the UK, 40% of forest land is in the state sector and mainly owned through the Forestry Commission whereas in France forestry is only 26% owned by the state. Even where it is state-owned it is more likely to be locally managed through the local commune or local authority which controls the majority of government owned forestry. Within these figures there is wide regional variation but the general rule is that the further east you go in France the more chance there is that a forest will be publicly owned: in Alsace-Lorraine, in the north east, almost 2/3 is state owned whereas in the South West (Aquitane) less than a tenth is government owned. 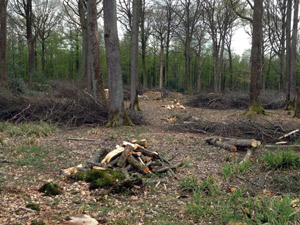 Whether private or public there is a strong tradition of continuous cover forest management in France where instead of periodically clear felling an area the woodland is managed so as to keep a canopy of continuous cover, and 93% of forestry in France is managed in this way. 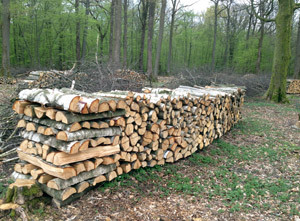 In terms of the recent growth of french woodland cover it has been steadily increasing since about 1900 and has gone from 10 million hectares to about 16 million with the sharpest increases over the last 20 years. 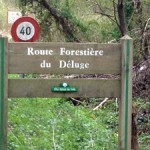 This has been driven by the the spread of french forestry into land abandoned by unprofitable farms. Afforestation was also boosted after the war with new planting, mainly coniferous, in the South East. 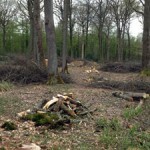 French forest cover has also been increased by the planting of 200,000 hectares of poplar mainly in the Northwestern region. and in the Garonne river valley. French forestry has a long geographical reach in that the overseas department of Guiana at the top of South America has an additional 7.5 million hectares of woodland (about three times the UK's forest area!). 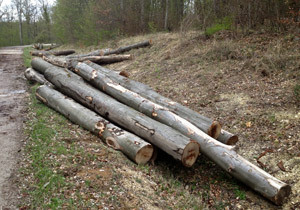 That reach extends to exports where French forestry produces significant timber both processed and in the form of logs for export - many of these go to China and are then re-imported into Europe as furniture and other timber products. 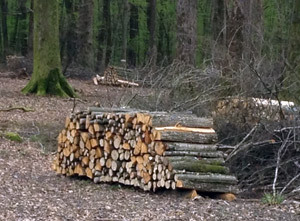 i don t know about a french version of the UK forestry commission but you should try to contact a nearby farming school and ask if they do forestry training. 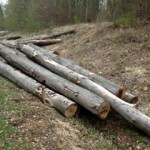 i would be interested to have a look at your woodland as i am interested in coppicing. i live near by and i am a beekeeper. Does anyone know about tree planting in france? I was thinking of going there because that’s what I do in Canada and Scotland. Trying to figure out how to get ahold of contractor. I love the way the French do things, they are so considerate and caring for the things that really matter. Excellent to see this information. 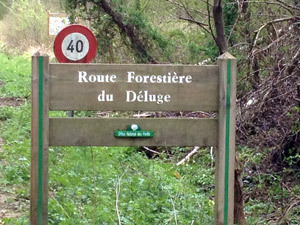 Thank you for an excellent overview of french forests. 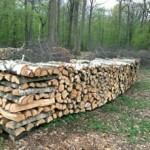 It is nice to see that folks stack their firewood the same we do in Oregon. France is much larger than the UK with 260K square miles compared just 94K square miles in the UK. 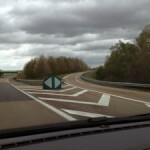 The country side in France is very much untouched and so vast. However, 6X the forestry is a pretty astounding number. 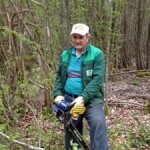 Very interesting to see our neighbour’s forest conservation approach. Being as it such an important ecosystem for biodiversity, perhaps our government can lead the way in changing money driven coniferous woodland back to deciduous type. As successive UK governments have been losing the dairy farming industry at a rate of 9 per week, perhaps some of this land could be restored and the payment passed on to the poor farmers. Kind Regards from a non-farmer and what a joy it would be to see 60% broadleaf cover in the UK. 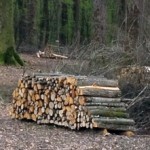 I didn’t know that the French forestry is six times as big as British Forestry. That is interesting. What does the Forestry Commission consultation really say? What is the Forestry Commission and How Does It Affect Woodland Owners?